Peugeot’s attempts at ridding itself of its poor image are really beginning to kick off. The 308 is a classy all-rounder that does well in most situations for most people. Updates in 2017 added a new eight-speed automatic gearbox and a 1.5-litre diesel engine that add to its breadth of capabilities. The same update brought a raft of mechanical changes too, which make it more enjoyable to drive. It's a family hatchback aimed at the likes of the Volkswagen Golf, Ford Focus, and Vauxhall Astra, and although it's a very good-all rounder, the one area where is succeeds expectations most is boot space. It has a class leading 470 litre (1,309 litre with rear seats down) boot. It can be bought in estate form too (660 litres capacity, 1,775 litres with the rear seats folded). It should also be noted that the boots of either cars don’t have a high lip - meaning you don’t have to strain yourself while putting heavy loads into the rear. It’s all ticks in the driving department too. The 308 blends comfort with drivability nicely. It smooths out most bumps on the road, but manages to feel sporty thanks to sharp steering and a tiny steering wheel. GT models have firmer suspension and sportier handling. While the GTi is an absolute riot and of the fastest family hatchbacks on the road right now. Moving inside the car, the rear is nothing to write home about. This isn’t class leading - but will be big enough for most adults for shortish journeys at least. It’s not the most comfortable for six footers en route to the south of France. If you reguarly have rear passengers, the Volkswagen Golf might be a better bet. Although if you are tall, or prefer a higher seating position, a crossover might be better suited. The Peugeot 3008 is very similar to the 308, except it's higher up and larger. We would also recommend the Mazda CX-3, Audi Q2, and Citroen C3 Aircross. Up front, the driver’s seat is a nice place to be. The seats are comfortable on long journeys, the clutch is light, and visibility out front is very good. All of the buttons are logically laid out - even when you’re getting accustomed to the car still there will be little chance of you wildly rooting around for something where you wouldn’t expect it. Not that the 308 is without fault. If you’re vertically challenged like our test driver (5ft 7, 5ft 8 on a good day) you’ll really struggle to see the dials in the instrument binnacle. If you’re that height, you can see over the steering wheel and at the dials if you have your seat at the highest setting, and the steering wheel at the lowest. This is not ideal. Other bugbears are the heating controls on the touchscreen media system. The touchscreen itself is slick, but changing the temperature while you’re driving along becomes tedious as you need to look at the screen for three or four seconds if you want to change the temperature. And when you’re looking at the temperature you can’t look at other pieces of information that are contained within that screen - like the sat nav. Apart from these quite glaring flaws, the 308 is a real contender for best in class. It’s got a huge boot, a wide range of engines, and it’s a well mannered and enjoyable car to drive. The smallest diesel engine is the best performing in terms of economy. Real world mixed driving conditions indicate that it’ll get 60mpg - which is impressive for a car in this sector. This engine gets to 60mph in 11.3 seconds, which is below average. But it never feels that slow. Families will love the estate version of the 308. It offers the same comfort and the same economical engines, just with a huge boot. With the seats up, the 308 SW has 660 litres of capacity. If the rear-seats are down, capacity jumps to a maximum of 1,775 litres. To put that into context, that’s more than an Audi A6 Avant estate or BMW 5 Series Touring estate, both of which are significantly larger and pricier than the Peugeot. The GTi is one of the pointiest hot hatches on the market. Its steering is very quick, so you can change direction quickly. It’s also pretty handy in a straight line - 0-62mph comes up in six seconds thanks to a 270hp 1.6-litre engine. • 2014: New generation of Peugeot 308 is delivered to UK customers. • 2017: Updated 308 released. New lights, new technology and an overall more muscular look. New 1.5HDI engine and automatic gearbox too. 1.5 denotes the engine size in litres, and BlueHDI tells us that this is a diesel. GT Line: This indicates the level of standard equipment you can expect to find in the car. There are four trim levels ranging from ‘basic’ Active, through Allure and GT-Line to GT. Under the 308’s bonnet you’ll find a variety of petrol and diesel engines. The smallest is a three-cylinder petrol engine called the 1.2-litre PureTech. This has Stop and Start technology (it’ll turn off the engine independently when you’re in traffic and turn itself back on when you want to get going). It comes with a six-speed manual gearbox and will do close to 50mpg in real world testing. The newest engine on offer in the 308 is the 1.5-litre BlueHdi 130. It has plenty of new and fancy emissions reducing tech on it, which means that it emits 93g/KM, which means it’s eco-friendly as well as frugal. And it is remarkably frugal - real world testing indicates that it can do around 60mpg in mixed driving environments. In the real world, this engine is refined and has enough poke to cope with longer journeys too. It doesn’t rev as smoothly as a petrol engine, but its mpg makes up for that. There’s also a 2.0-litre BlueHDI diesel. This has 180hp and is much quicker than the smaller engined diesel mentioned above. This can also be specified with a new eight-speed automatic transmission - making this the engine to have for people who do lots of miles. The fastest engine on offer is the scorching 1.6-litre petrol found in the 308 GTi by PEUGEOT SPORT. This has 270hp and can do 0-62 in six seconds. Throttle response (the time taken between you putting your foot down and something happening) can be changed in this by switching to sports mode - this mode will also make the car’s engine sound louder.) It has a real world economy figure of 38.7mpg, which is still impressive for a car that is this fast. Active, Allure, GT Line, GT and GTi by PEUGEOT SPORT. The Peugeot 308 comes in five different trim levels. Having five levels ensures that there is plenty of choice when speccing options. It also means that lower specification cars are quite basic. Active has air conditioning, DAB radio, bluetooth and USB connectivity, and cruise control. Plus alloy wheels, dual zone climate control (different heating controls for driver and passenger) rear parking sensors, automatic lights and wipers, as well as a 9.7-inch multimedia touchscreen with sat-nav. Upgrading to Allure spec gets you bigger and better looking alloy wheels, front and rear parking sensors, and electrically folding door mirrors. GT Line offers a reversing camera, LED front foglamps and 18-inch alloy wheels. Plus twin exhaust pipes on the outside, and red stitching on the interior. The next step up, GT, offers yet more equipment. Chief of which is a driver assistance pack with adaptive cruise control (cruise control that monitors and adjusts how close you are to the car in front) and autonomous emergency braking (which can brake the car for you). The most expensive spec is GTi by Peugeot Sport. This can only be had with the sportiest and most powerful 270hp engine. This has its own bodykit, lower ride height, 19-inch alloy wheels, and a limited slip differential (which helps powerful cars put their power on to the road). The annual Auto Express Driver Power satisfaction survey suggests that the latest 308 is a reliable car. It placed 19th in the 2017 survey of the top 75 cars to own. It gained strong scores for ride and handling, as well as fuel economy and running costs. The only poor rating was for infotainment, connectivity and electrics. A three-year warranty comes as standard with all 308 models. This consists of a two-year/unlimited-mileage Peugeot package, and an additional year’s cover provided by Peugeot’s UK dealer network. These warranties are generally similar, but tend to be limited to 60,000 miles in the third year. This generation of 308 has been on sale since 2014, which means that there are thousands available on the second hand market. The updated model came out in 2017, and has started surfacing on the second hand market. If your budget allows, we'd recommend going for one of these. It's sightly better than older cars in nearly every respect - and the new 1.5-litre engine is economical and smooth. The 2.0-litre diesel engine makes more sense if you’re doing a lot of motorway miles though. 2017 model cars are typically £180 a month for models with around 20,000 miles. 2017-registered petrol engined cars with fewer miles on the clock can be had for similar money. The sporty GTi is £27,674 from new, but 2017 models are for sale for around £21,500, offering more than £6000 off. 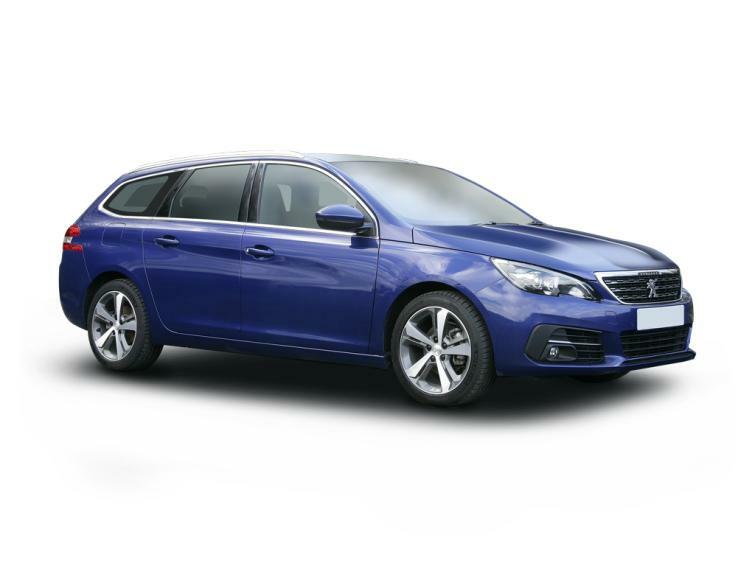 The Peugeot 308 is a great all-rounder with class-leading boot space and grown up looks. Updates in 2017 added a new eight-speed automatic gearbox and a 1.5-litre diesel engine that add to its breadth of capabilities. Interior is generally pretty good. However, as the steering wheel is so small, some shorter people (below 5ft 7) may struggle to see over the steering wheel and at the dials behind. The media screen is slick, and Apple Carplay and Android Auto work faultlessly. However, the heating controls are operated via the touchscreen. This makes it tricky to change temperature in the car while on the move. The GT Line trim level gets you these snazzy 18-inch alloy wheels. The Peugeot 308 has a class leading boot size of 470 litres (1,309 litres with rear seats down). It can be bought in estate form too with a 660 litre capacity (1,775 litres with the rear seats folded).